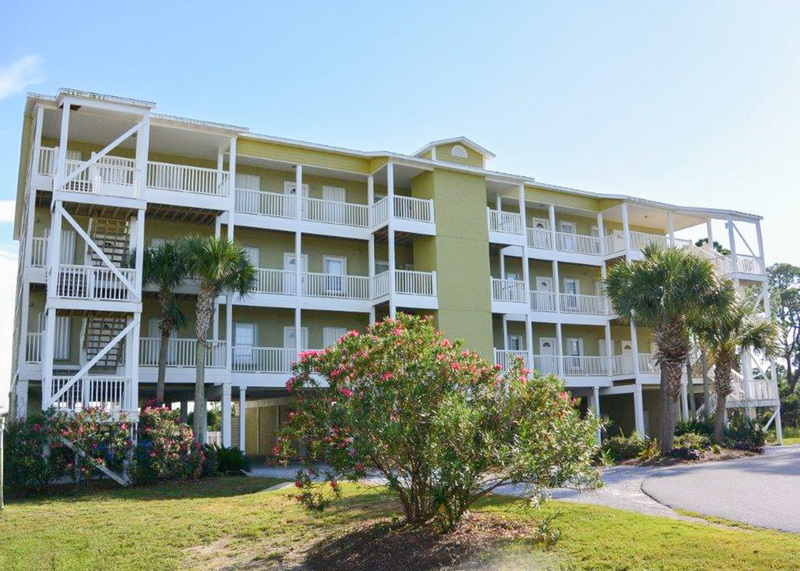 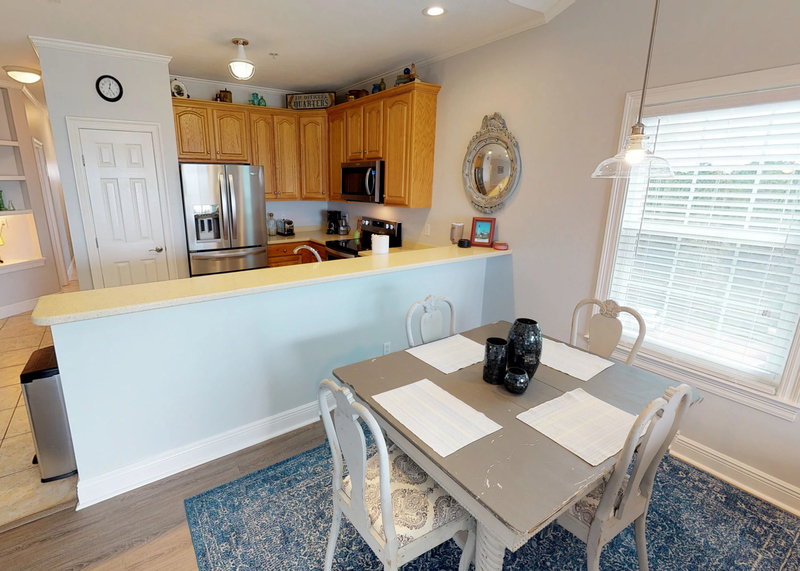 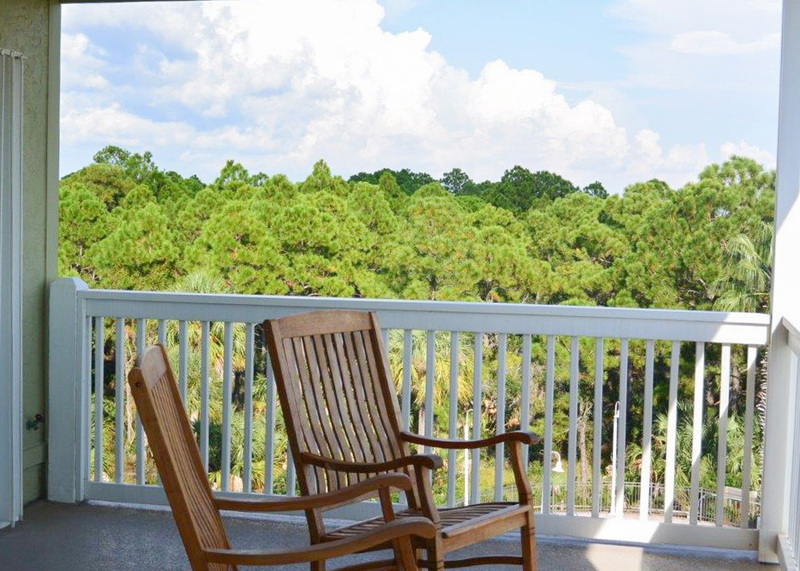 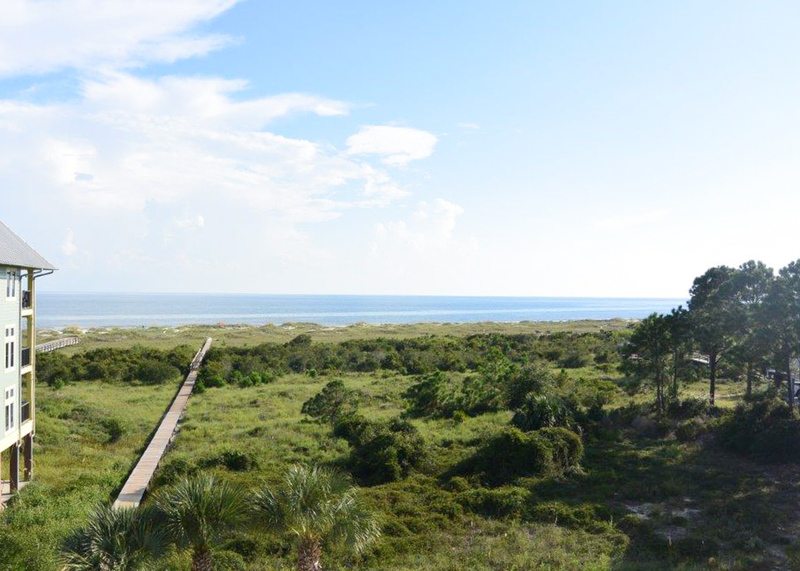 Stunning Gulf-views await from the you from the balcony of this lovely Cape San Blas condo, located at the Dunes Club. 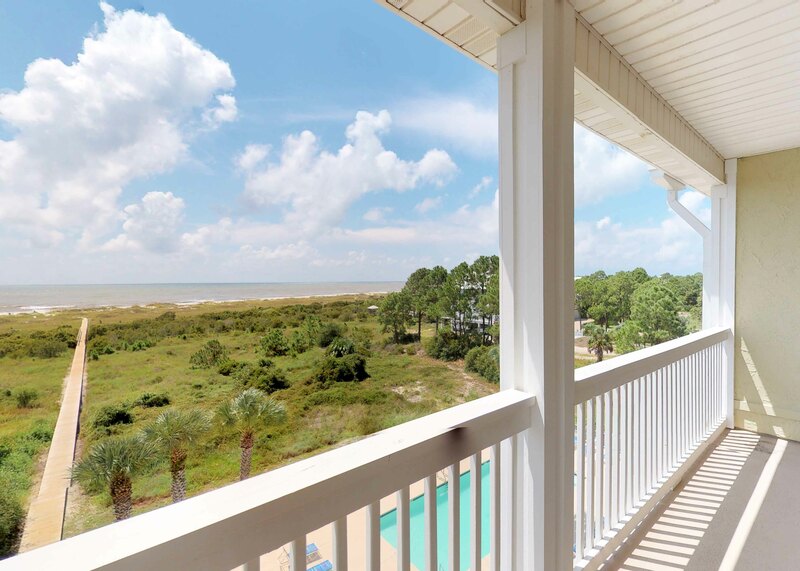 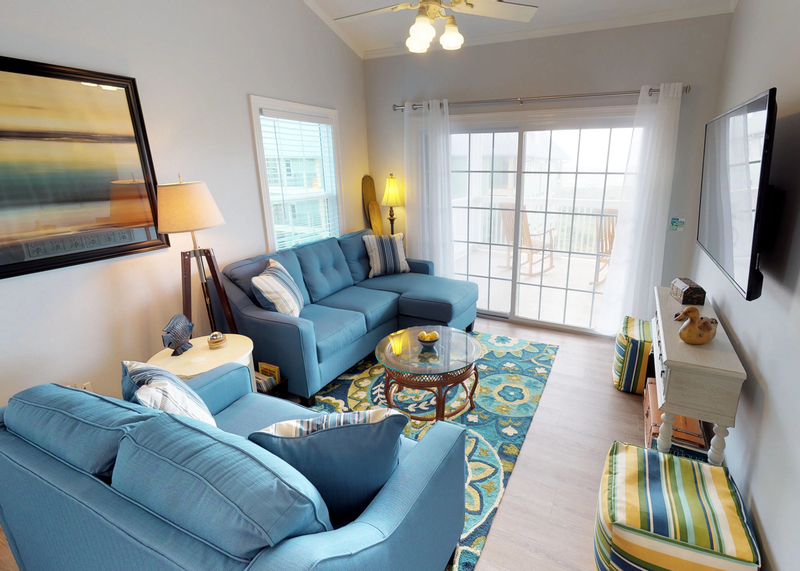 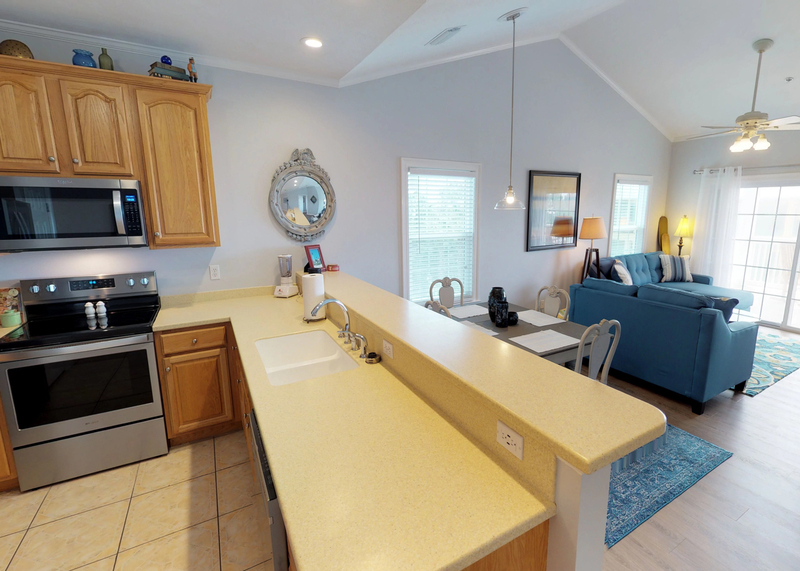 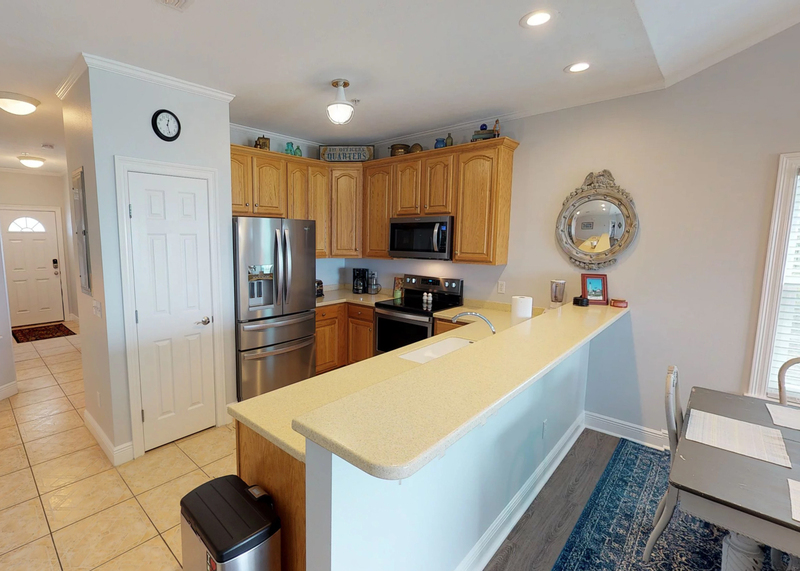 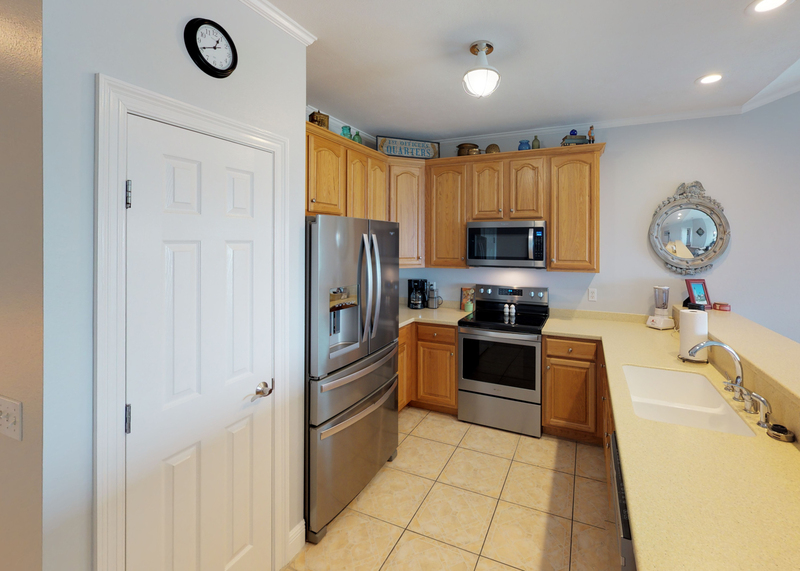 With three-bedrooms and two-baths, Turtle Trot can easily accommodate six guests, and features private community beach and pool access. 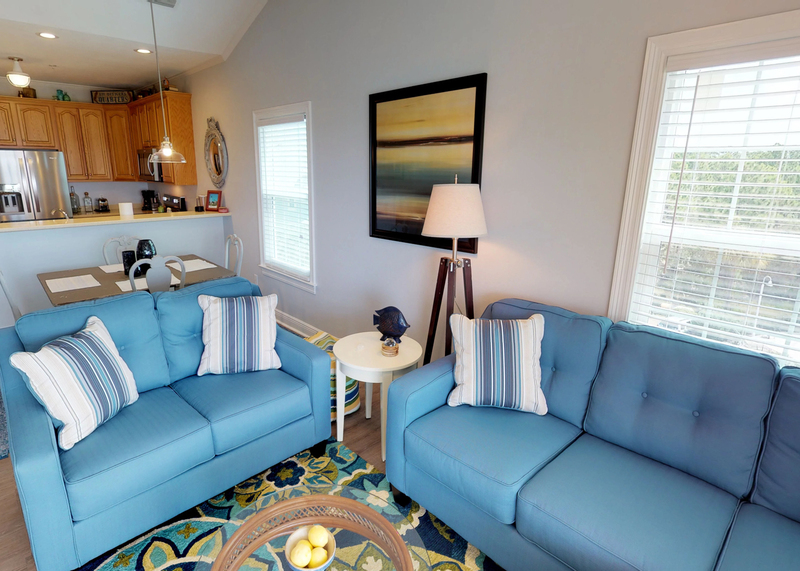 The open floor plan of the living area makes Turtle Trot ideal for entertaining. 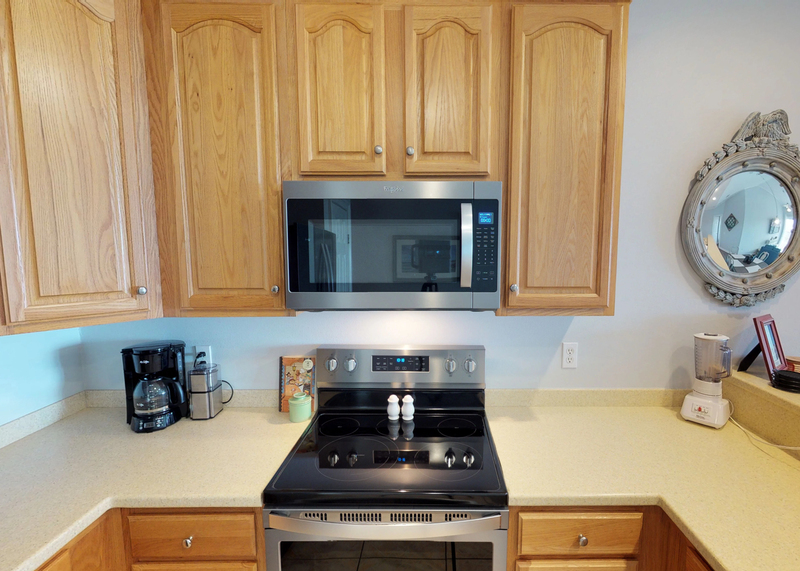 Prepare meals in the well-appointed kitchen with its stainless-steel appliances, while catching up with your guests seated in the dining room, with its table for four. 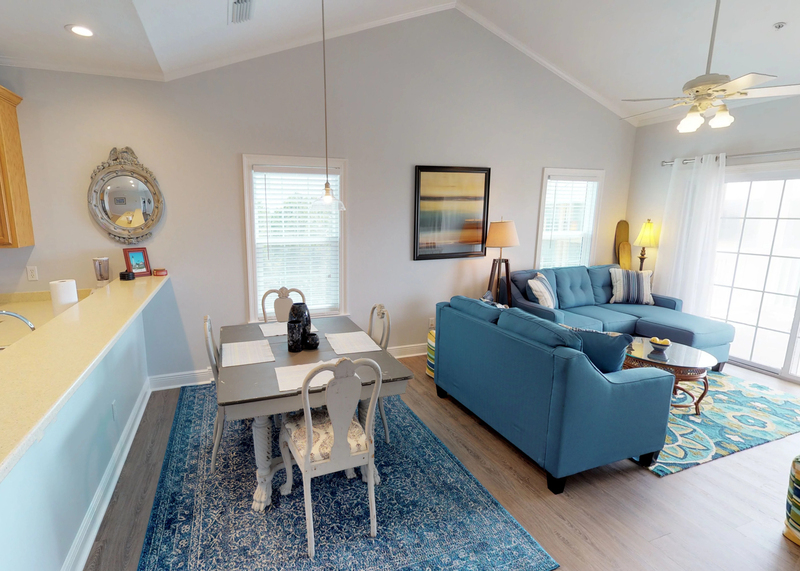 The dining area is adjacent to the living room, and comes replete with a wall-mounted flat screen TV, cozy seating for five and balcony access. 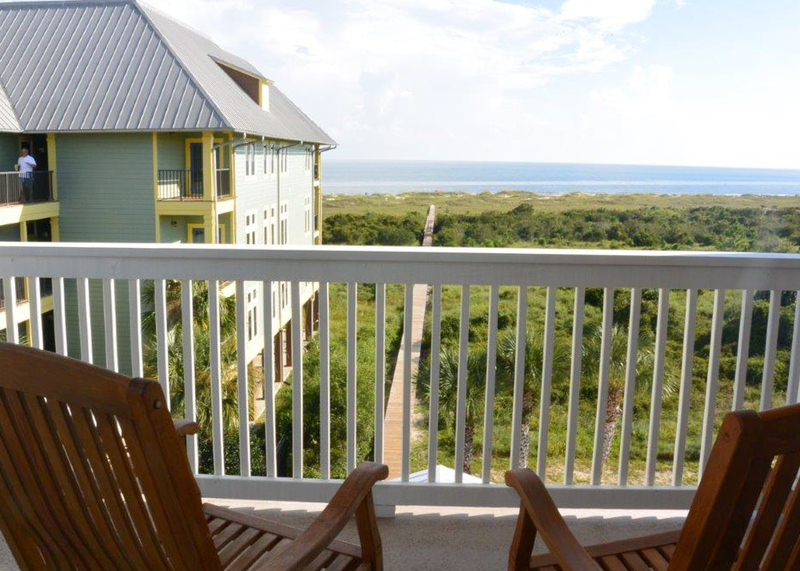 If it’s fresh sea air that you crave, head out to the balcony with its four rocking chairs, gas grill and unrivaled ocean views. 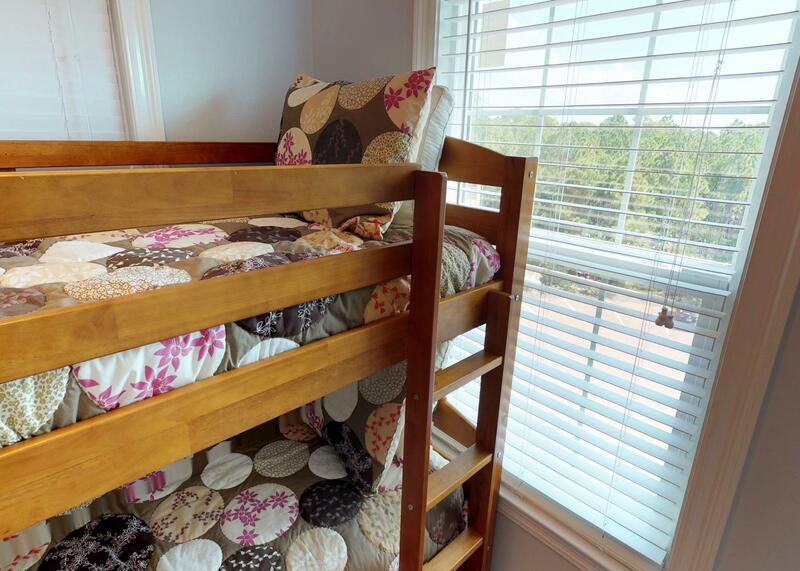 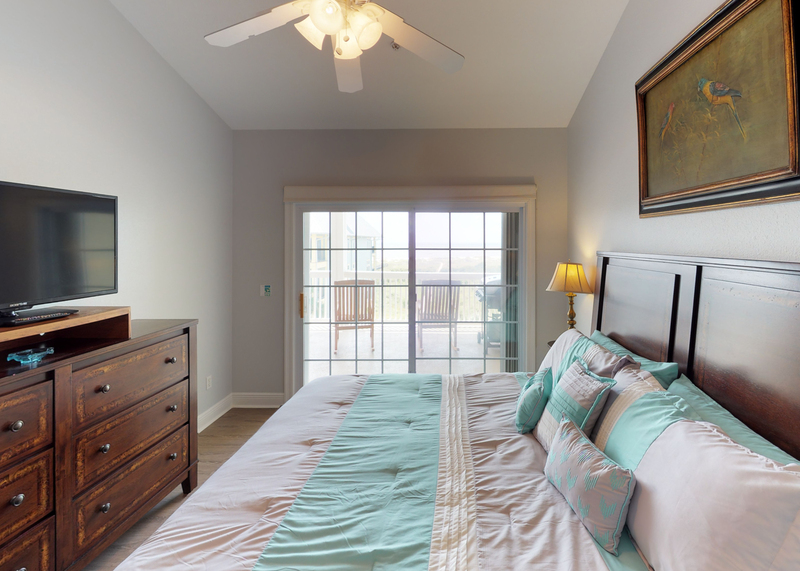 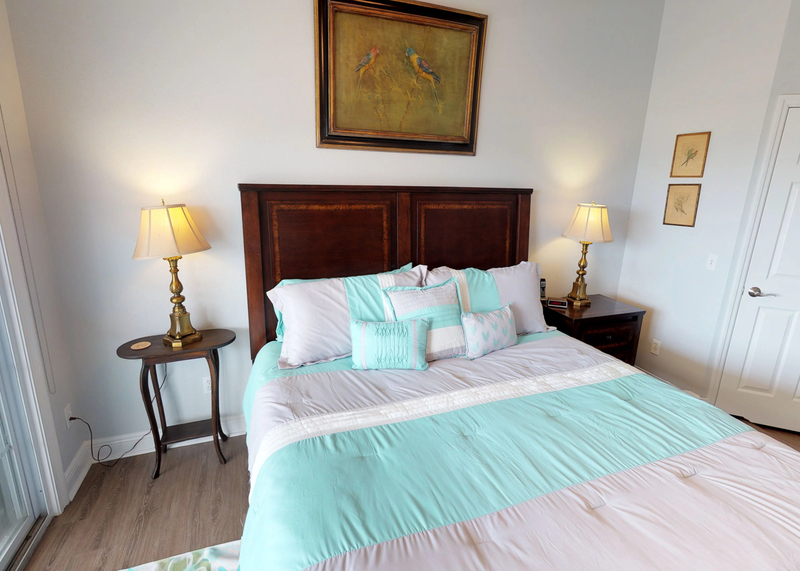 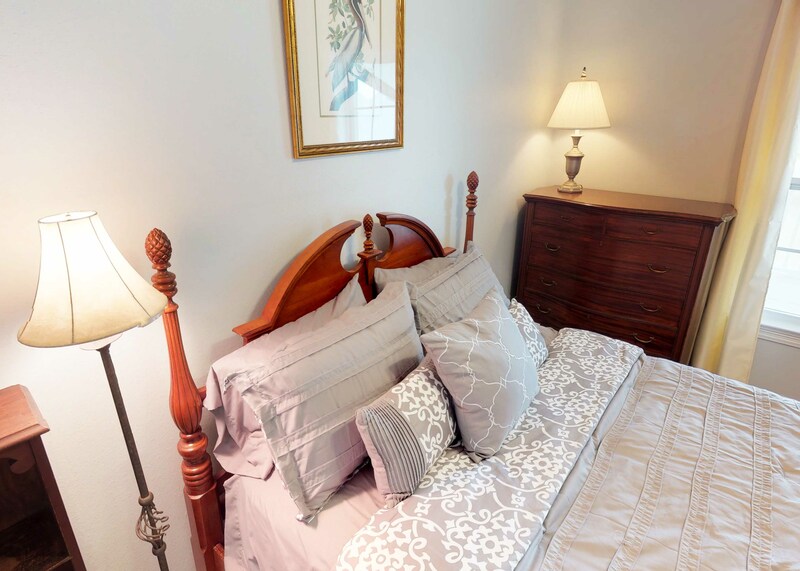 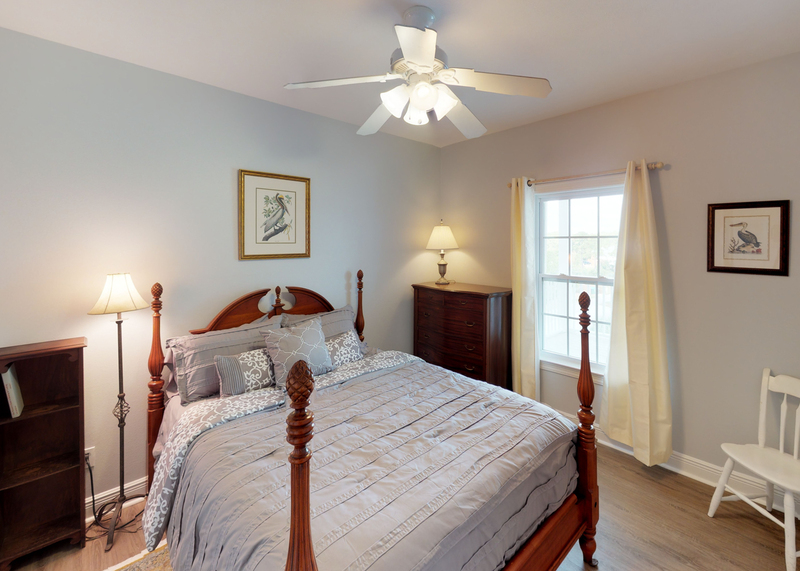 Guests can get some rest in one of three bedrooms. 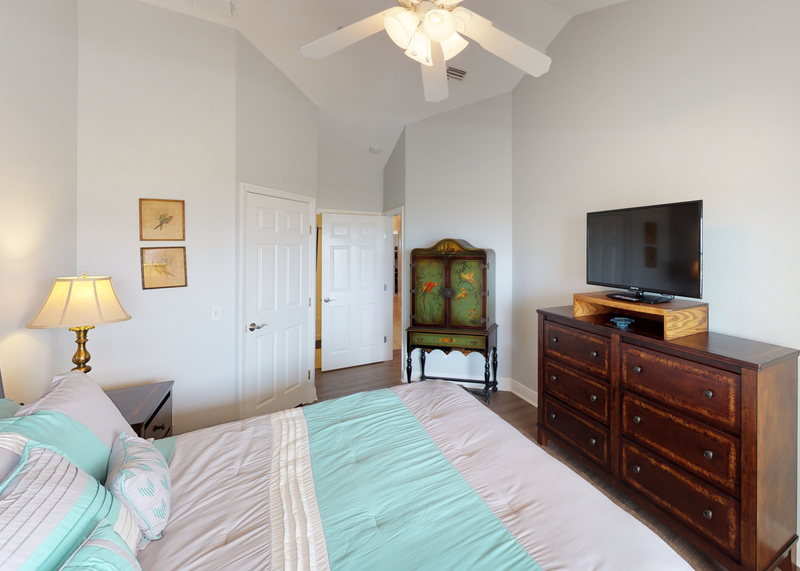 The master is located off the living room and features a king-sized bed, flat screen TV, an en-suite bathroom and access to the balcony. 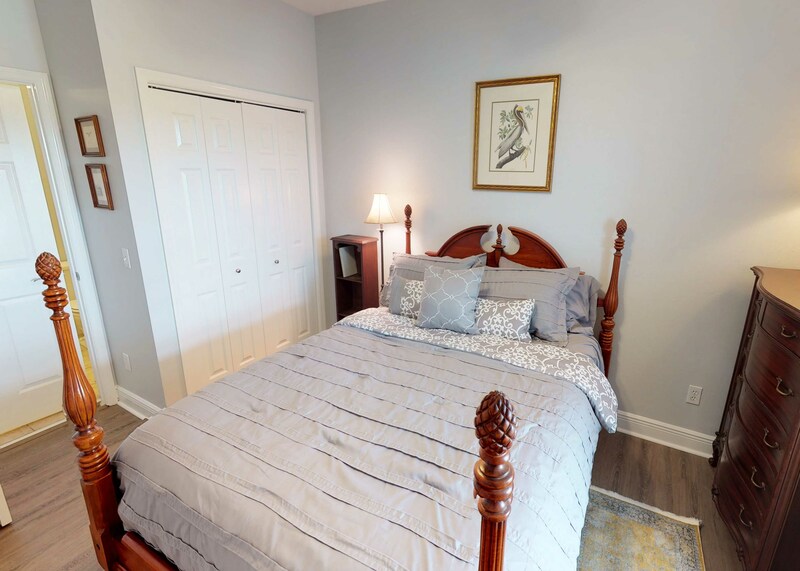 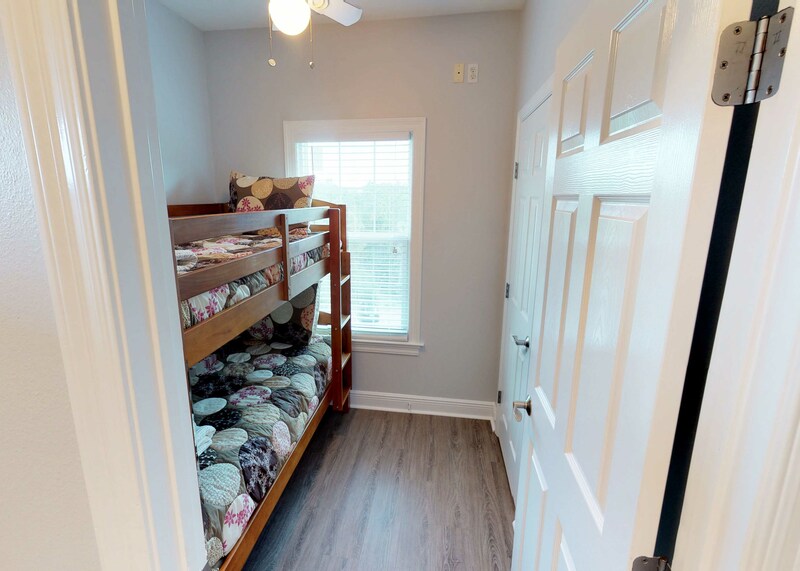 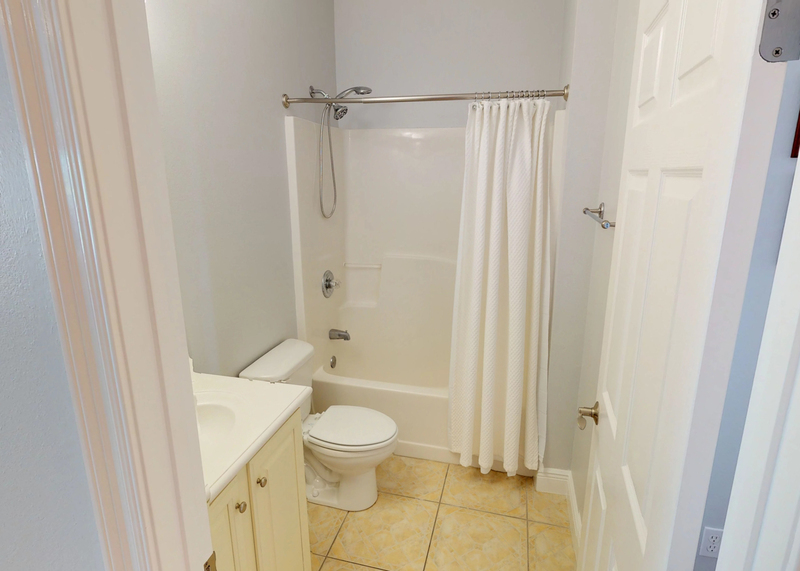 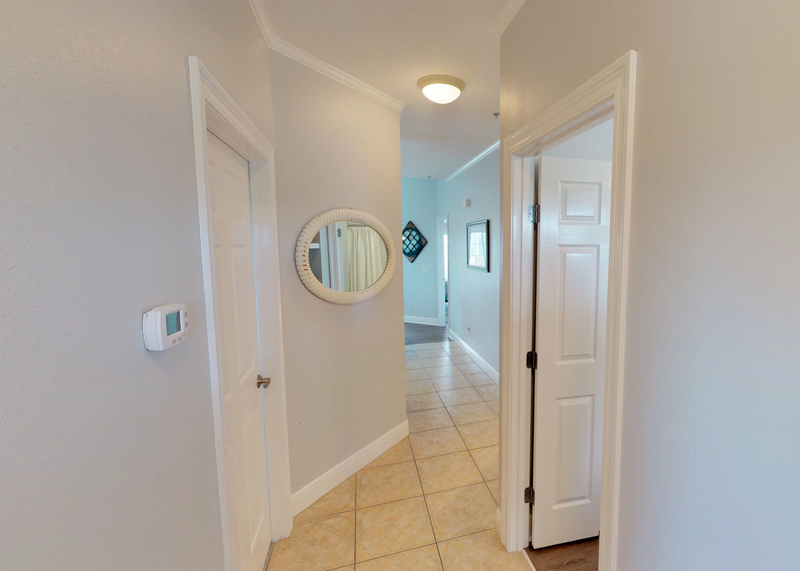 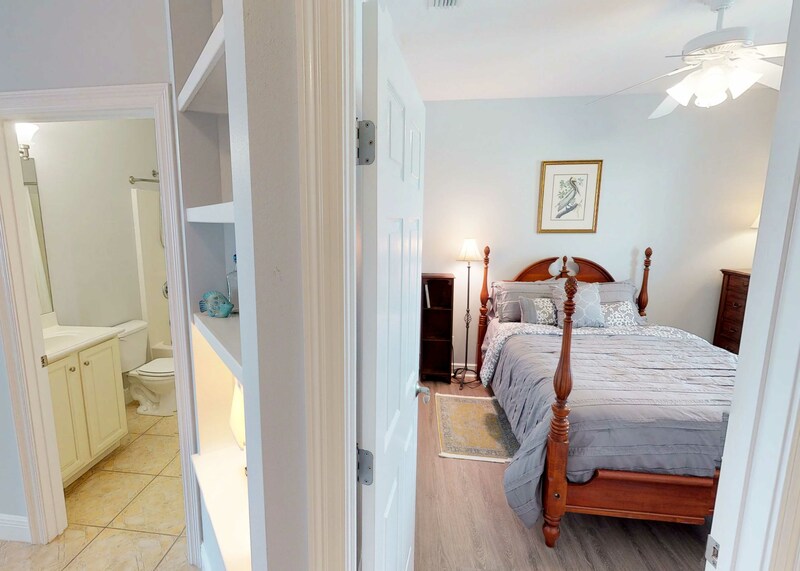 Down the hall, you will find a second bedroom, with a queen-sized four-poster bed and access to a shared bath, as well as a third bedroom with a bunk bed for two. 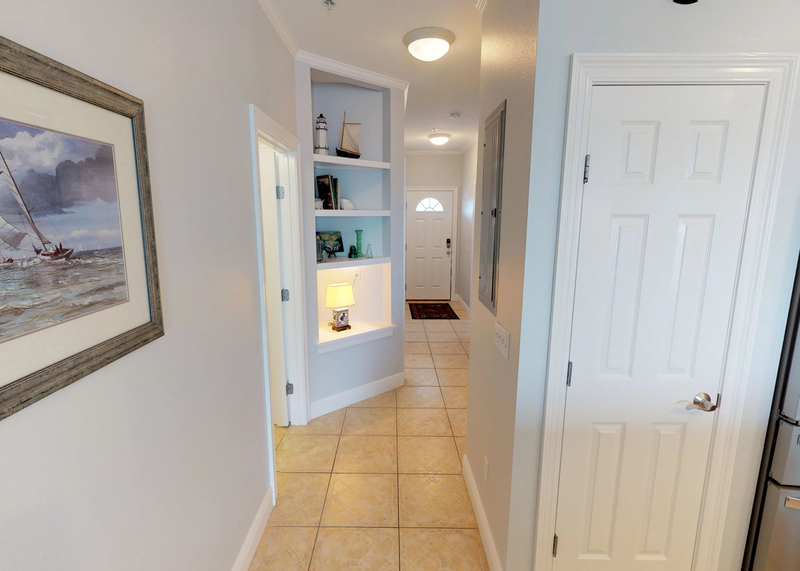 Pet-friendly: one dog up to 40 lbs. 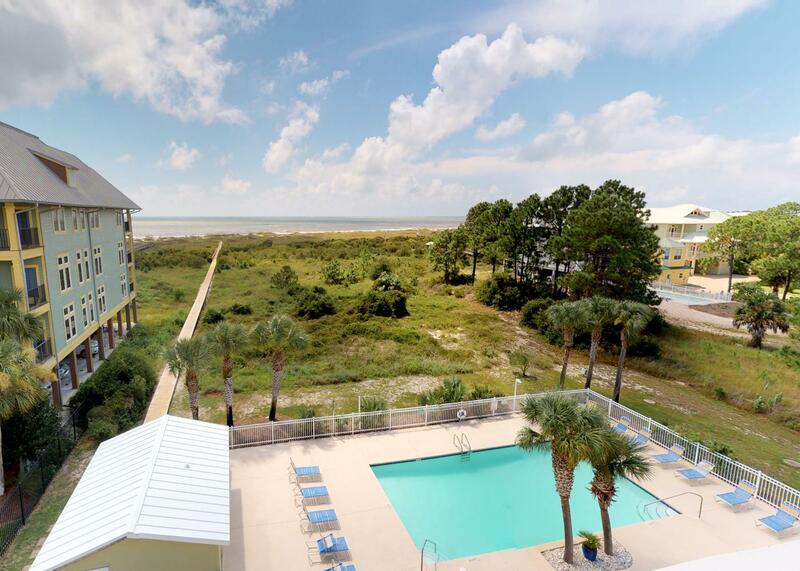 Your reservation includes $250 worth of free beach gear. 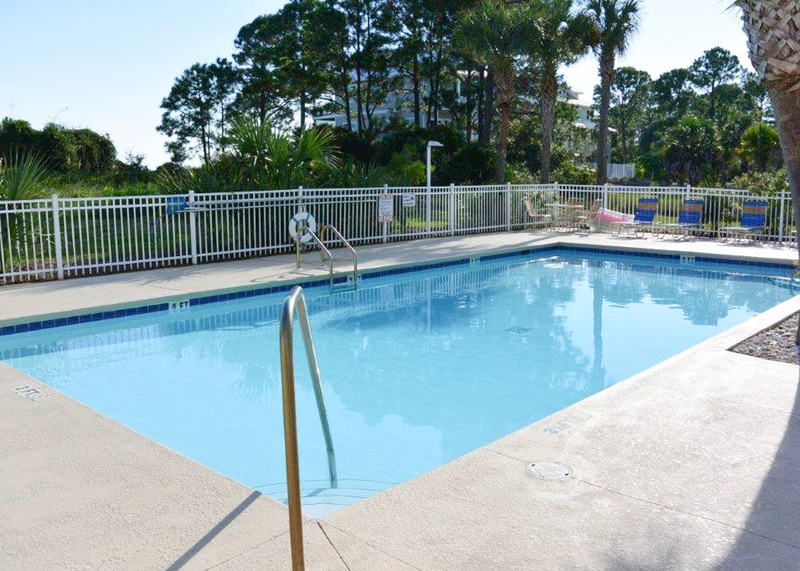 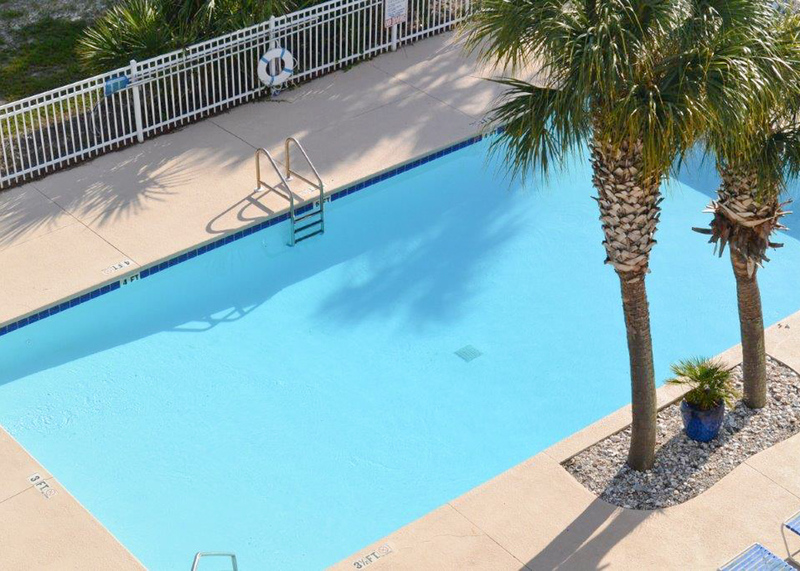 Rent a beach wagon, beach chairs, umbrellas, paddle boards, and more for your stay.